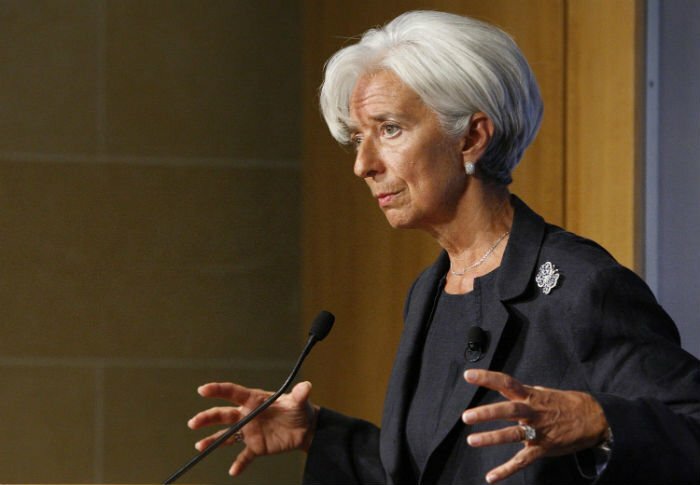 The Eurozone debt crisis poses the biggest threat to the global economy, says IMF chief. The International Monetary Fund is set to cut its forecast for global growth next month with uncertainty over whether European policymakers will keep promises to address the Eurozone crisis weighing on confidence, the head of the IMF said on Monday. “We continue to project a gradual recovery, but global growth will likely be a bit weaker than we had anticipated even in July, and our forecast has trended downward over the last 12 months,” IMF managing director Christine Lagarde said. In July, the IMF cut its global growth projection for 2013 to 3.9 per cent but left its 2012 forecast at 3.5 per cent. The uncertainty over whether officials would effectively address those main trouble spots was now affecting economies in the rest of the world, she said. Lagarde said emerging market economies were now clearly slowing and there was “great concern” in poor countries about rising food prices and volatile commodity prices. There were also signs of growing frustrations with political transitions in the Middle East, she added. She said financial markets have been buoyed by recent decisions taken in Europe to address the debt crisis and now want to see Eurozone policymakers working together to implement the measures. Markets have rallied in recent weeks on the European Central Bank’s decision to launch a conditional bond-buying program for troubled states, but the euro zone is slipping into recession and there are concerns about the path of economic and budget reforms in Italy and France, two of Europe’s biggest economies. The ECB’s decision helped drive borrowing costs lower for beleaguered Spain, although Madrid is still considering a bailout to handle a high public deficit and soaring debt. Lagarde said structural reforms and fiscal adjustments were unavoidable in crisis-hit euro zone countries. She said the IMF supported the idea of giving countries, such as Portugal and Spain, more time to implement budget and other reforms. Lagarde reiterated IMF calls for Europe to move to a banking union, which she said could help prevent nations from being dragged down by sickly banks. Ireland received a bailout after rescuing its banks, and Spain appears headed down the same path. Lagarde said some emerging economies may need to put monetary and fiscal tightening in place or even add stimulus, such as in the case of China, to protect their economies. In other emerging economies, ensuring that high credit growth does not endanger financial stability was important, she said. She said measures taken by China aimed at supporting growth will provide some short-term support but over the longer term the country must lift domestic consumption and demand. As for the world’s poorer nations, Lagarde said the 20 per cent increase in global food prices since June was a concern and the international community should stand ready to support these countries in need.